A great vision I’m sure you’ll agree, but how do we actually enable that? Well the answer for us was a particularly brave employee who came forward with a vision of how we could all help each other. Elle Neal is a highly successful Project Manager in our organisation who suffered with anxiety and depression after her son was born. She started running to help with her recovery and with the support of England Athletics became a Mental Wellbeing Ambassador for her Running Club, Women on the Run. Elle came to me with the idea that we could set up a Mental Wellbeing Team at BPA Quality, comprised of individuals in the business who had themselves suffered with some kind of Mental Health issue. She believed that through the sharing of personal stories and experiences, we would be able to support each other and reach out to anyone in the organisation looking for some kind of help. Our research showed us that 1 in 6 workers in the UK is dealing with anxiety, depression or stress. Work is identified as one of the most stressful factors in people’s lives and mental health problems among workers is anticipated to cost the UK economy over £26billion every year. Since October 2017 we have been working hard to encourage peer to peer support through our Mental Wellbeing Champions, developing mental wellbeing activities and knowledge resource for all employees through the use of our Intranet site, and creating an open culture that enables disclosure. It is often said by organisations that ‘our people are our most important asset’. This has never been truer. If we primarily employ people for their minds, it makes business sense to ensure employees are as mentally healthy and as effective as possible. We were delighted when the BBC recognised the great work our team have been doing to promote Mental Wellbeing and help reduce the stigma associated with Mental Health. 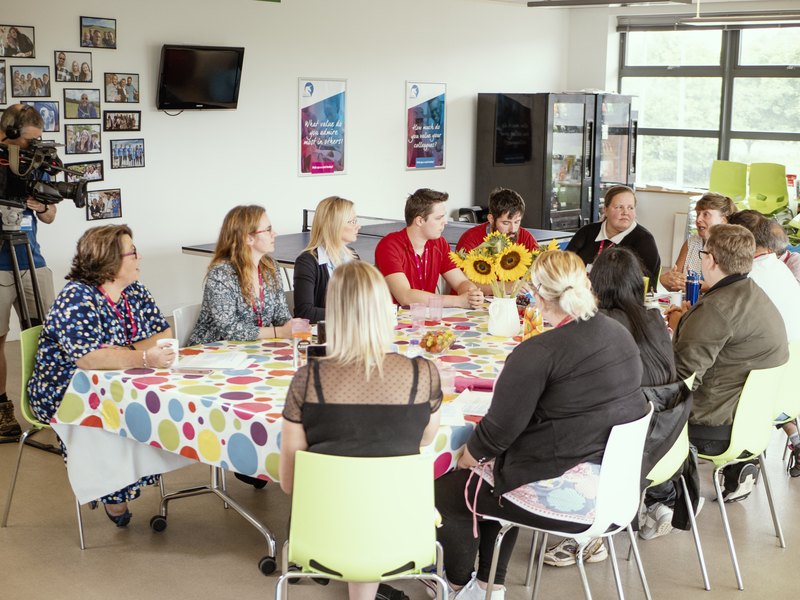 When they asked to come and film one of our Mental Wellbeing monthly meetings and speak to some of our ‘champions’, we readily agreed. It’s great to have that external recognition, but the real satisfaction comes from the stories that our team are telling about how this approach has helped them to bring their ‘whole self’ to work. Elle says “The greatest learning I have had through this whole process is that I am not alone and neither are any of our employees. Mental health issues affect 1 in 4 people and can be caused by a variety of reasons that are mostly out of our control. We’re always keen to hear how other organisations are approaching this so please do get in touch if you’d like to hear more and share thoughts and ideas. Next Next post: What is esprit de corps and how can it help you to lead your team?